We conclude our sermon series on the book of Jonah by looking at what Jonah teaches us about the attributes of God and how we should respond. We continue in our study of the book of Jonah. We look at the compassion that God has on the Ninevites in Jonah 4 alongside of the Parable of the Good Samaritan in Luke 10:25-37. We continue in our study of the book of Jonah. We look at the Jonah's prayer in Jonah 2 alongside of Philippians 2 to see how we can find God's grace in the midst of our greatest struggles. Jonah, Pt. 4 – Why Can’t I Change? 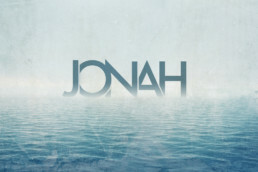 We continue in our study of the book of Jonah. We look at the story of Jonah alongside of Romans 7-8 to to see what it takes for our hearts to change. We continue in our study of the book of Jonah. Today, we primarily studied Matthew 12:38-41 to understand what Jesus meant by the "sign of Jonah." We continue in our study of the book of Jonah. Today, we take a look at the conflict between the will of God and the will of Jonah in order to discern ways in which our own will can be in conflict with the will of God. We begin a new study on the book of Jonah. Today, we were introduced to the book of Jonah and learned that the life of Jonah is meant to be a prophetic mirror to our own hearts.